Braces are associated with teenagers and young adults up to their 30’s. People get braces to straighten their teeth and to have a great smile. As a whole braces have a plethora of benefits because it plays an important role in our overall oral health. Among the four, metal braces are still the most popular because it is the least expensive and boast of the shortest treatment time. Having said all that, dental braces are not only popular with teenagers and young adults even those in the midlife bracket are going to their dentists to get braces. Even celebrities like Faith Hill and Tom Cruise got their braces in their forties. 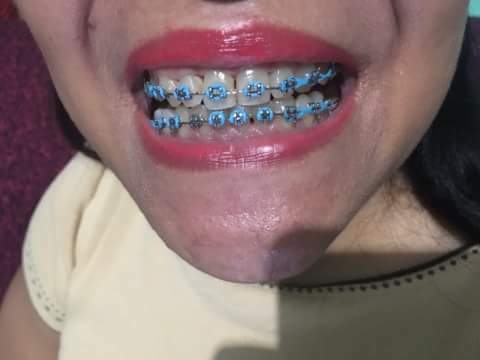 At the age of 51, I wore metallic braces to improve my teeth. 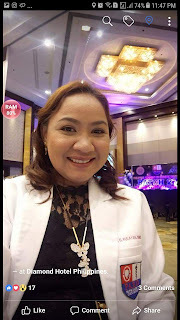 I had my upper & lower molars removed and because of this my teeth moved to leave spaces and it made me feel self-conscious especially if I am speaking with another person. I consulted my dentist friend and I asked her if I can have braces at my age. If it is safe to have braces fitted in my teeth because I was thinking that my gums might have weakened already. She explained to me that as long as you have teeth, braces can be fitted to correct the teeth alignment. I also asked if it will hurt and she said that there would be discomfort but it is tolerable. 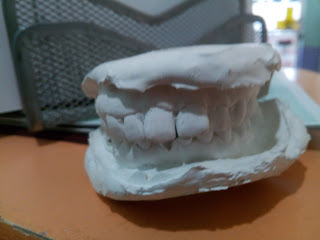 So on my first dental appointment, she made a clay model of my teeth and this is how they look like. As you can see my teeth were misaligned already because of the vacant spaces on my molars. It displays a “butterfly effect” crowding of my upper teeth. 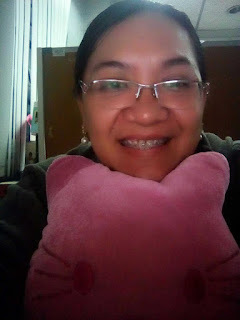 These are the very reasons, I need braces: to correct my bad bite, to prevent bone erosion and help me with my self-esteem. 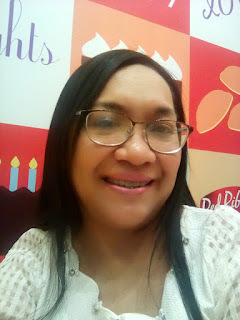 My dentist help me a lot especially when she was fitting me with my dental appliance, I had some apprehensions because I was afraid it might hurt! But, my dentist made it a pleasant experience and in the shortest time, the fitting was finished. She advised me to take a pain reliever if there is a pain because the braces will apply pressure to the teeth to realign it and this will cause a bit of discomfort and some pain. She prescribed vitamin C to strengthen my gums and teeth. For a couple of days, it is better to eat soft food, not to eat hard, sticky food for this will damage the braces. Once a month I have to go back to my dentist to tighten my braces. My dentist told me I have to wear braces for 1 ½ to 2 years. It is possible to have braces in our midlife, having good teeth has cosmetic benefits and oral health benefits as well. There’s nothing to get embarrassed with getting braces at our midlife stage if it will improve our self-confidence and boost our self-esteem. Braces are not for teenagers and young adults only but for midlife people as well. If you want a dental consultation about getting braces, go to an orthodontist. An orthodontist is a specialist in the prevention, diagnosis, and treatment of dental & facial irregularities. You can call Dra. Emeline G. Kulayan at 63 2 7750945.